If your QuickBooks account contains more than one sales tax codes/rates with the same sales tax rate, Commerce Sync cannot transfer sales information to your QuickBooks account. If possible, you will need to remove the additional sales tax rate(s) that you are not using, so that there is only a single sales tax code/rate in your QuickBooks account. 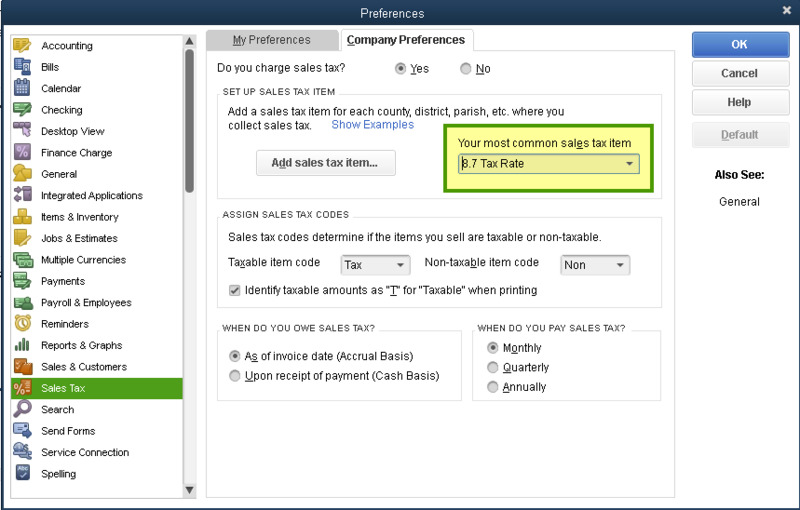 In QuickBooks Desktop, from the Home page click on Manage Sales Tax, then click the Sales Tax Preferences button. Check to see what is selected in Your most common sales tax item drop-down menu. You cannot remove this sales tax item, take note of what is selected. If this is one of the duplicates, you'll want to remove the other duplicate tax. If this is the item you would like to remove, you need to select a different most common sales tax item. 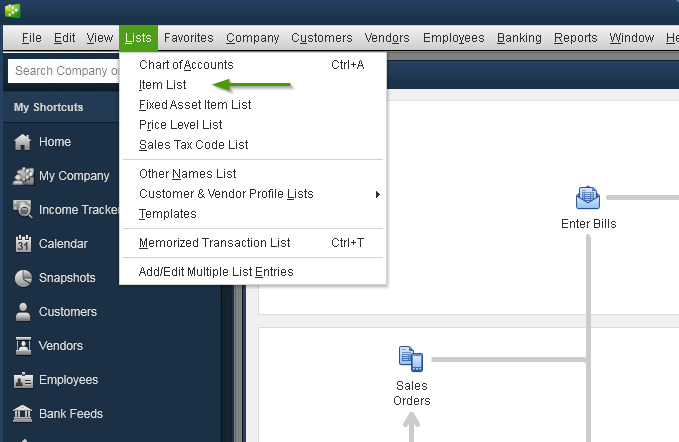 Click on the Lists menu at the top of the screen and then select Items List. 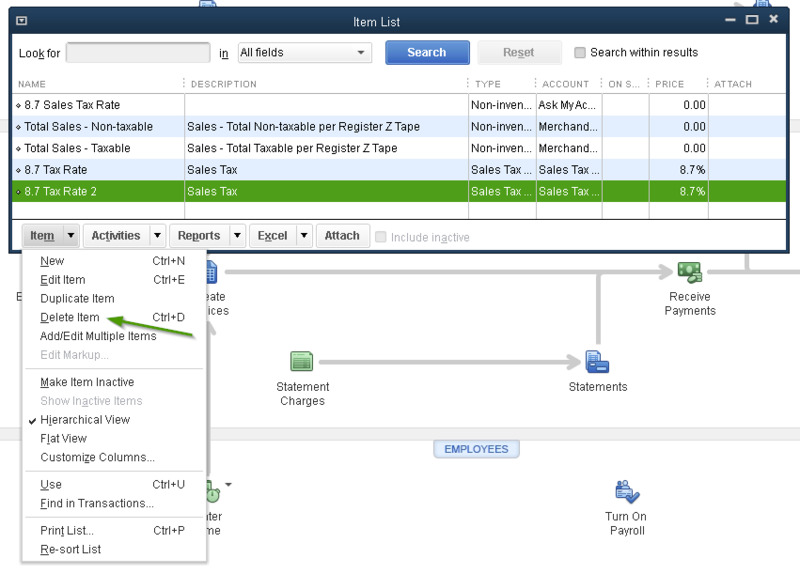 Select the duplicate tax rate that you would like to remove from the Items List. Click on the Item drop-down menu below and select Delete Item. Manually sync Commerce Sync for Desktop by clicking the small up arrow in the bottom right corner of your screen and double clicking the orange and blue S. On the pop up window, click the sync button and wait for the green arrows to stop spinning. Please take a look at this article for more information. Open Commerce Sync from either your Clover station or from logging into your Clover.com account. Click on the Fix under Transfer Errors. For more detailed information on clearing Transfer Errors see our How do I Fix Transfer Errors article.